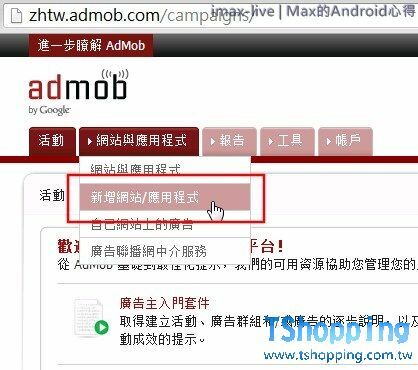 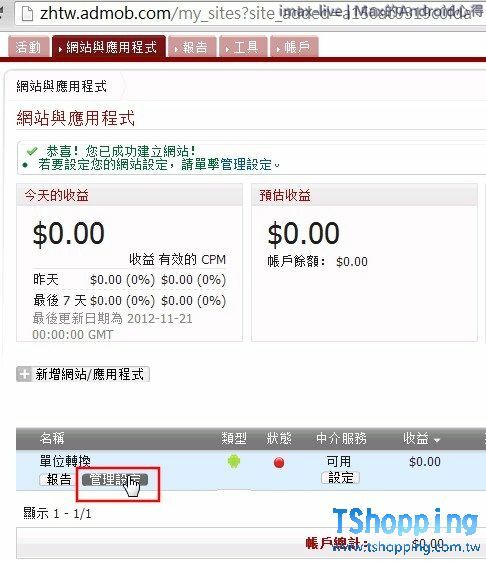 Android 程式置入 AdMob 廣告 - Android 手機開發 - TShopping - Powered by Discuz! 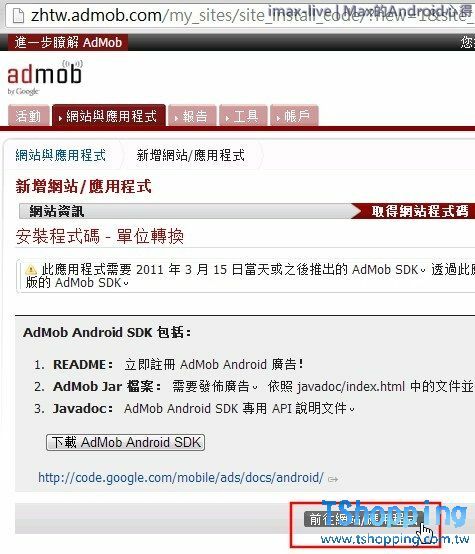 這篇要講 Android 程式中置入 AdMob 廣告教學, 比我想像中的簡單, 點一點, AdMob廣告就出來在Android App 裡了. 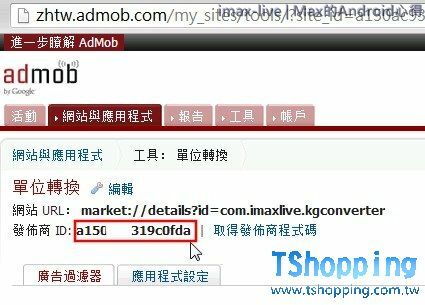 登入 AdMob, 下拉 "網站與應用程式", 選 "新增網站/應用程式"
說明: Android 套裝的 URL, 我發現可以隨便填一個http 的 URL 即可. 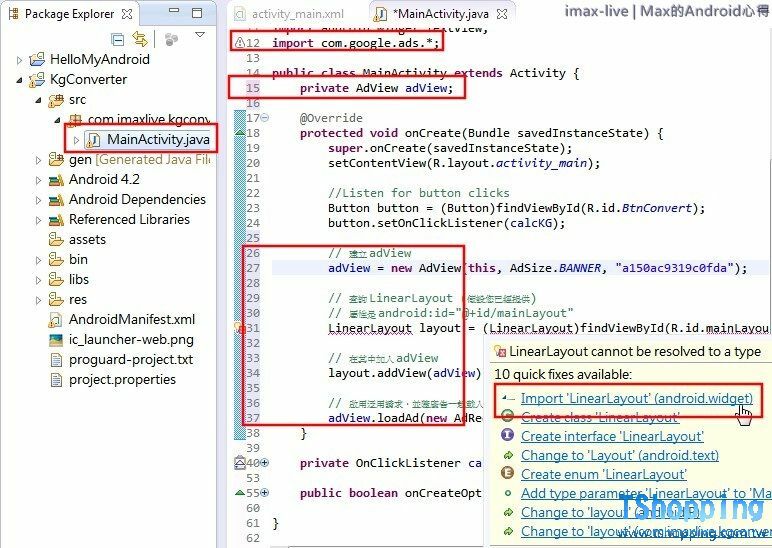 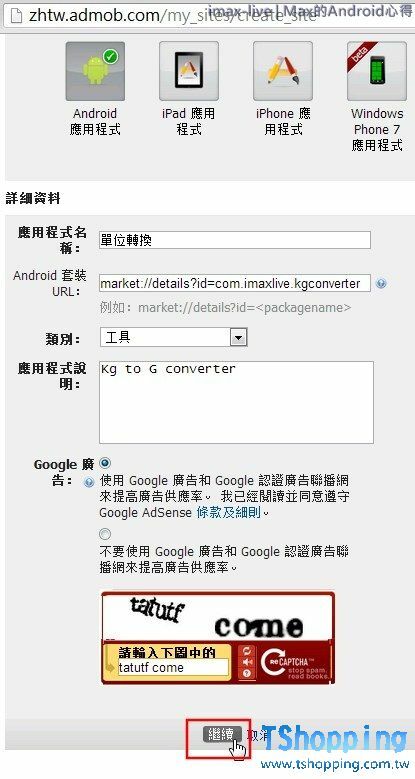 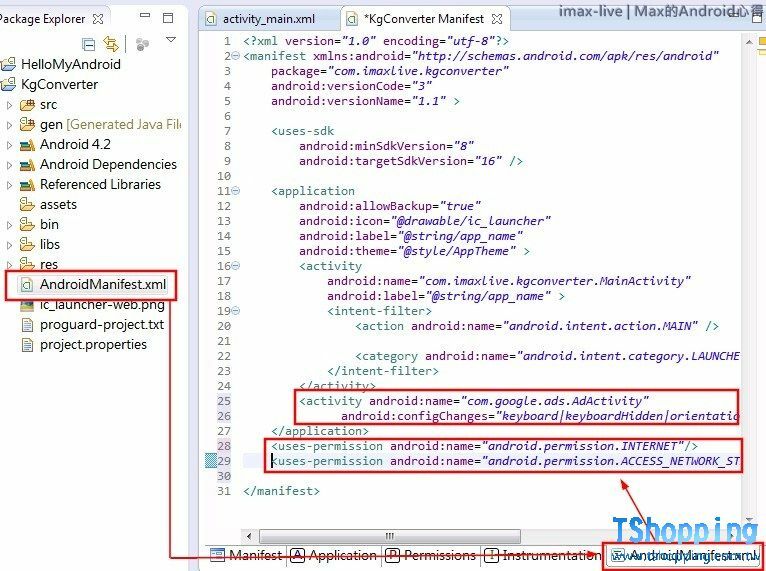 如果要連結至不在 Android Marke 中的 Android 應用程式，可使用 http://, 假設你的 App 無法上在 Android Market(Google Play) 裡, 還好可以使用 http:// 來使用. 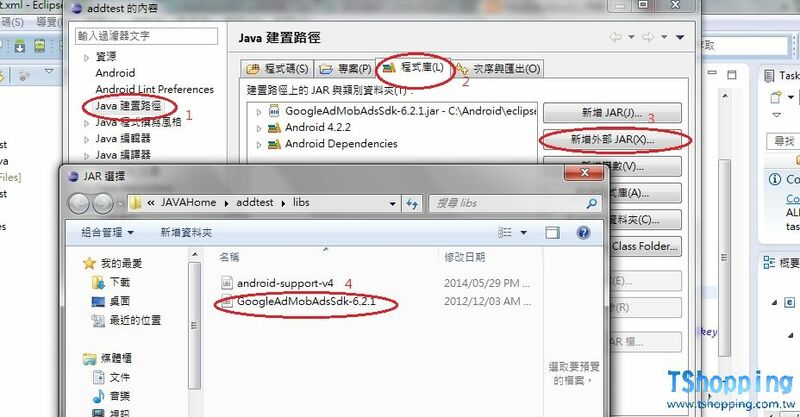 移到 App 的字上面, 下會跑出隱藏版的功能, 選取 "管理設定"
回到 Eclipse, 在 Project 按右鍵, 選 "Properties"
選右下角的 AndroidManifest.xml 頁籤, 參考下圖, 把這2個區塊裡的 xml 直接貼進去即可. 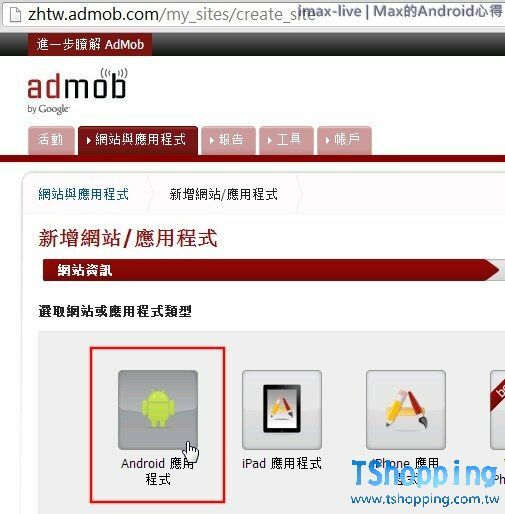 LINE: 27, MY_AD_UNIT_ID 請輸入你的AdMob 發佈商ID. 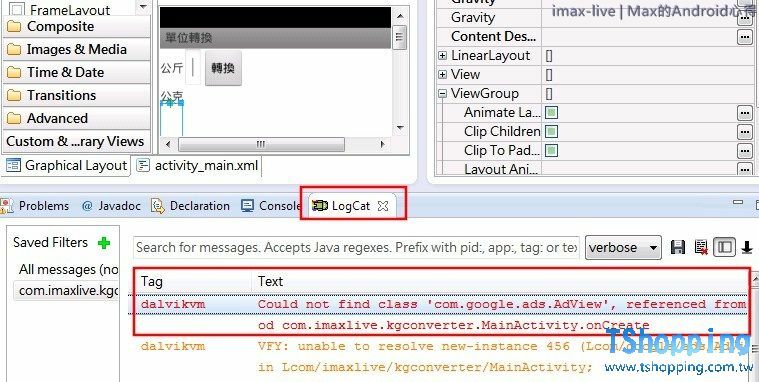 GMT+8, 2019-4-19 22:09 , Processed in 0.041660 second(s), 22 queries .